You deserve a seat at the table. You are not an imposter. What is it about creative people that make us feel unworthy of the things we aspire to be? It’s like we take pride in being stuck in our own discomfort, waiting for the approval of others or for someone else’s acceptance of who we are. Even when we get a seat at the table, we are bombarded with thoughts that we don’t belong, and we’ll be outed as a fraud. We feel like an imposter within the spaces we are meant to occupy, and this is perpetuated by false narratives we tell ourselves regarding our abilities; despite evidence that’s contrary to our beliefs. Imposter Syndrome is commonly understood as a false and sometimes crippling belief that one's successes are the product of luck or fraud rather than skill. Though Imposter Syndrome is not a recognized medical disorder, it is very real and common amongst many people including myself. Lately, my imposter syndrome has been working overtime, making me always feel inadequate and undeserving. I’m incapable of accepting compliments for my work and can only see it as not good enough which is a terrible feeling when I’m consistently working towards “getting better”. It is a voice inside that tells me that the next person is better than me and I have no real value to add. 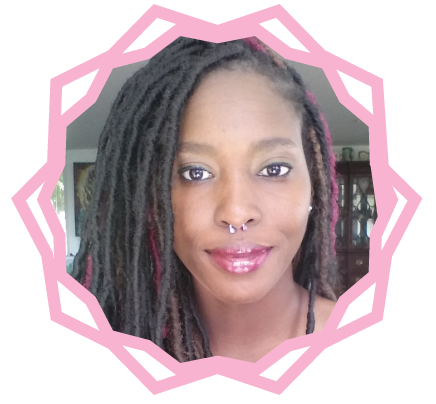 Sometimes it takes shape in allowing space for self-sabotaging behaviors to manifest itself in areas where growth and mental stability ought to be. 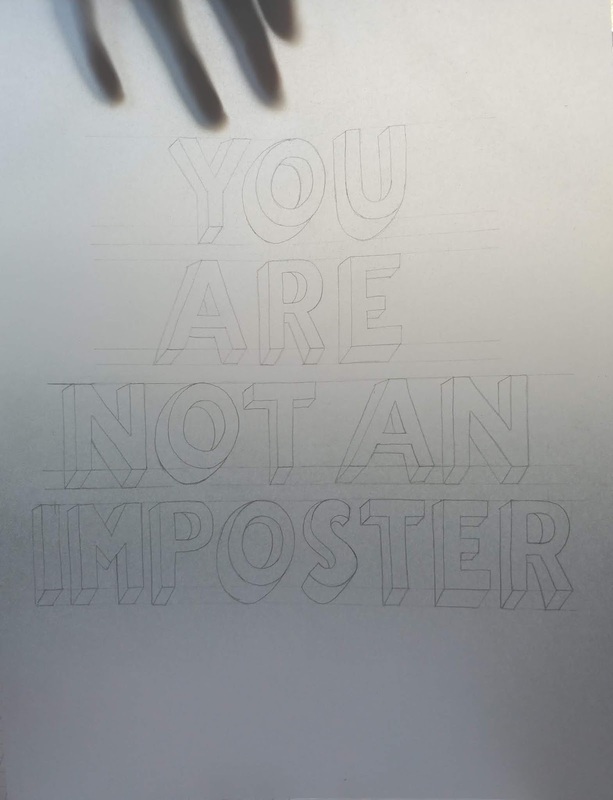 From all the books I’ve read over the past couple of years about creatives and entrepreneurs, imposter syndrome seems to be an unspoken evil that everyone experiences at some point in their creative life. I was shocked to find out that some of my favorite artists, actors, and writers experience varying levels of imposter syndrome throughout their careers. For some, it’s way more prevalent and leads to other mental health issues such as depression and anxiety and required therapy or medication to gain back control. For others, it’s a feeling they’ve been able to get under control over the years through consistently showing up for themselves and defying their inner critic day after day. In my personal artist journey, imposter syndrome has played more of a role in my growth than I was willing to acknowledge. My inner critic did not come from a place of people telling me I wasn’t good enough or talented enough. In fact, throughout my life, I’ve been blessed to be surrounded by well-meaning, positive and encouraging people. People who saw my worth far more than I was willing to see within myself. I didn’t have a teacher who told me I couldn’t pursue art. I never had over critical parents who didn’t see that value of an artist life. The only person in the room who was incapable of seeing my value was me. Because I’ve been so unwilling to see my worth, I spent more time trying to prove to myself that I am not talented enough by comparing myself to others and minimizing my worth. I was always willing to see the good in others and feed into the notion that I would never get to their level, rather than nurturing my mind and working through my discomfort. I’ve nurtured a fixed mindset instead of a developing a growth mindset, but it doesn’t have to be this way. Imposter syndrome is a habit, not a trait. By refocusing my thoughts and internal dialogue to one that is more compassionate and less critical, over time I believe I will experience less and less of the negative side effects of it. I can reframe this distorted reality that I’ve created for myself by embracing imperfection and finding supporting people in my life who experience what I’m going through. I can encourage myself just as much as I criticize myself. I can practice my craft just as hard as I admire the works of others. I can try just as much as I say I can’t do it. I can find value in what I bring to the table. I have not lucked my way into getting to where I am today but have earned the right to be here!